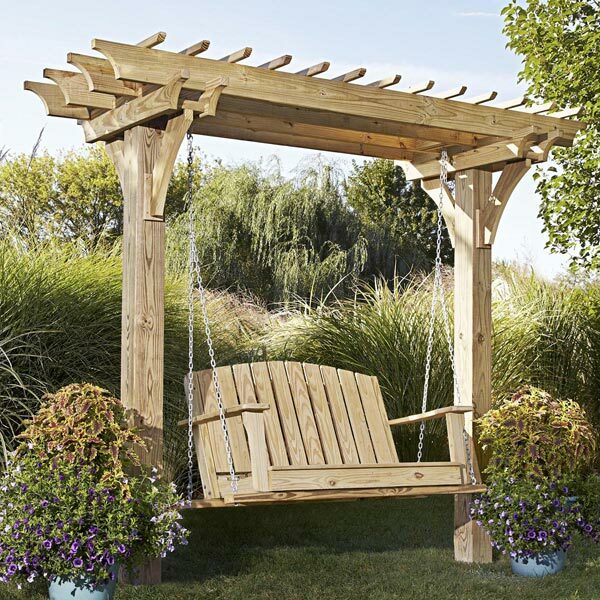 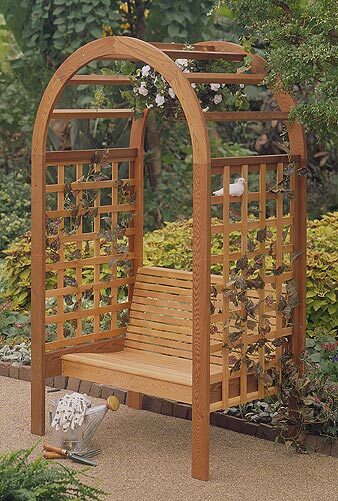 With only two posts to set and nothing to rip, you'll be relaxing in your new swing in no time. 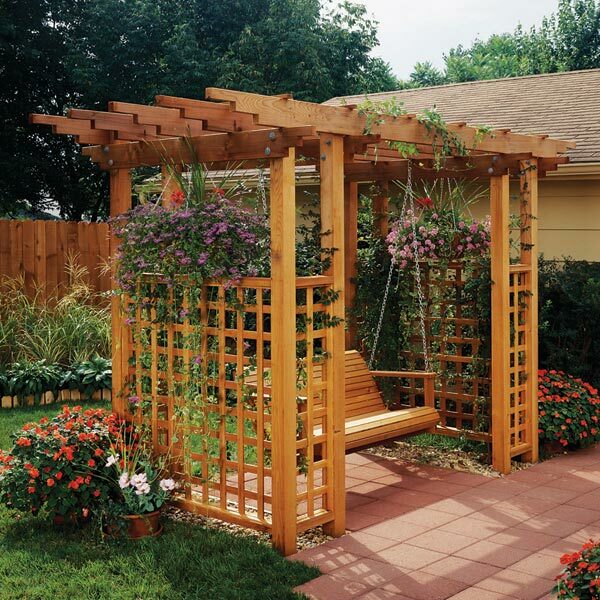 These projects feature simple joinery�����screw and a few notches�����for quick construction. 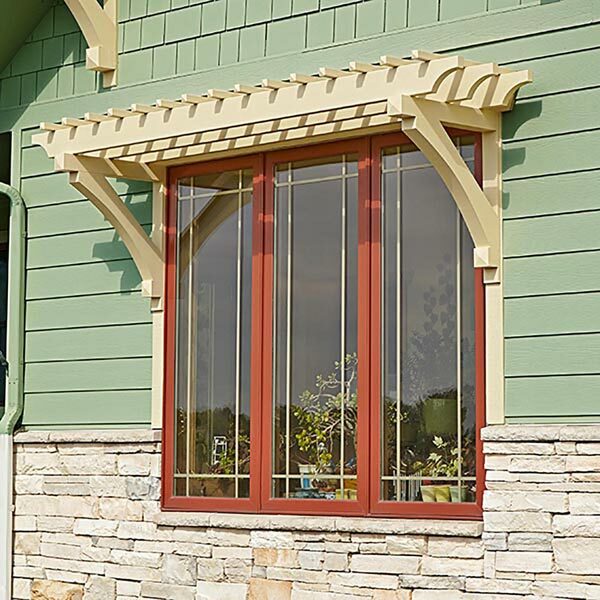 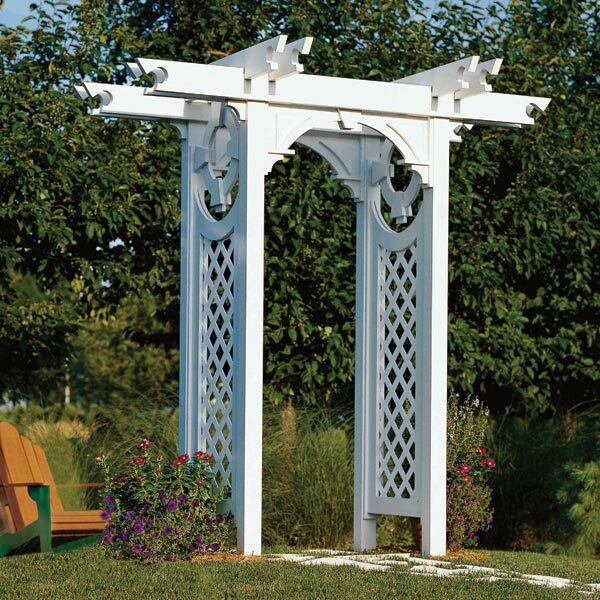 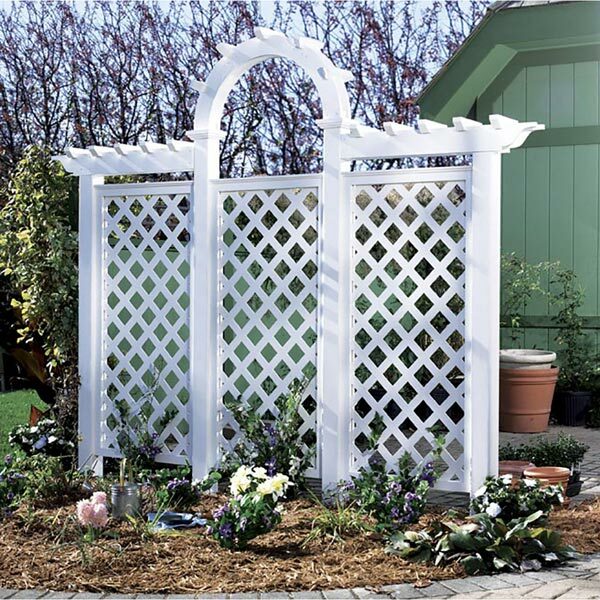 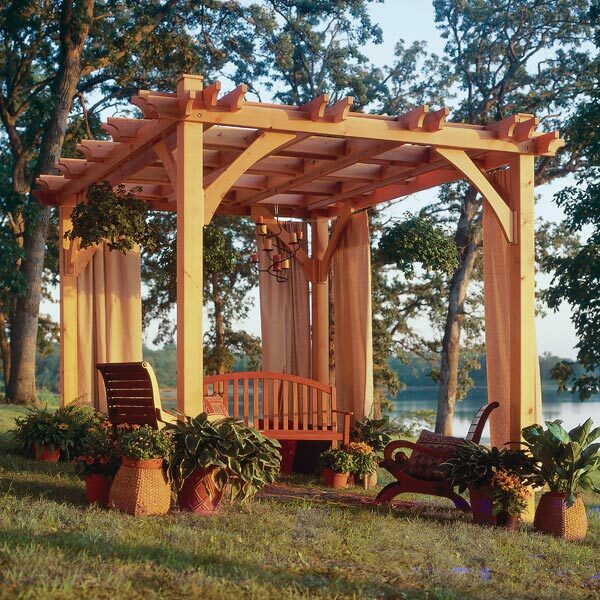 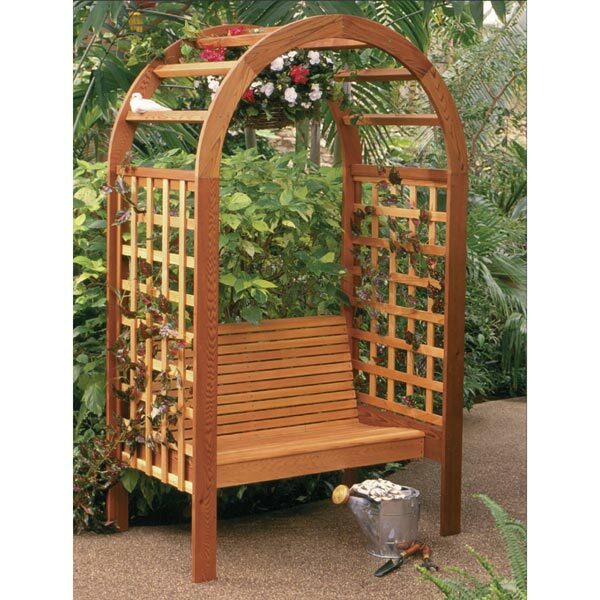 Decorative battens and beams strengthen the arbor while providing partial shade. 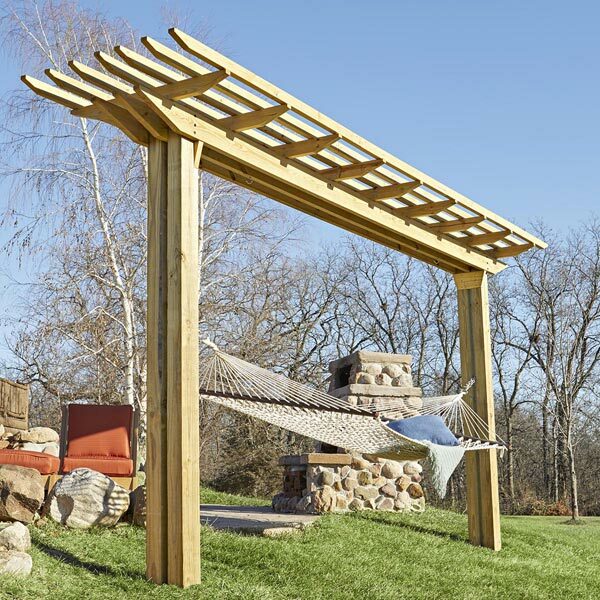 Also makes a perfect porch swing.